I have cooked and eaten this soup since my childhood. At first my grandma cooked it for us with home grown chickens. The taste of these chicken cannot be compared to the chicken we buy from the grocery stores, or even to the most expensive super organic versions one can find on the market. 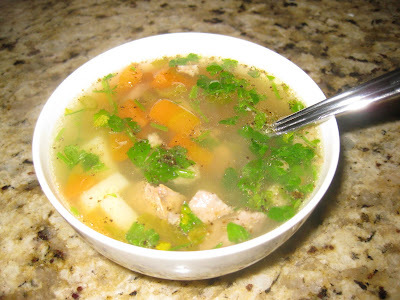 Nowadays, when I go back to Bulgaria, my mom cooks this soup for me and it still tastes amazing, the same as the one from my childhood memories. 2 cubes chicken broth. 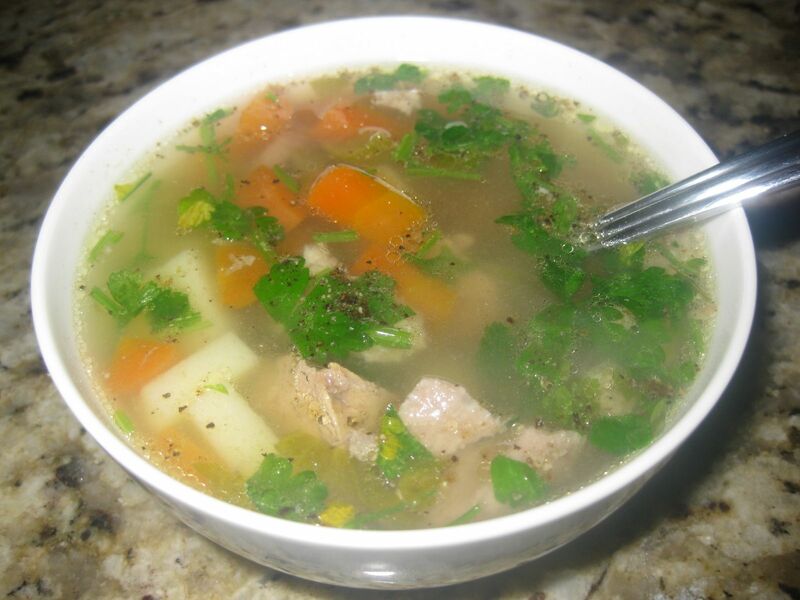 Home-made chicken broth would be the best. Cover the chicken with water and boil it. Use a large spoon to remove residue floating on surface. This residue will occur at first boil and decrease after you skim it for the first 15 minutes. 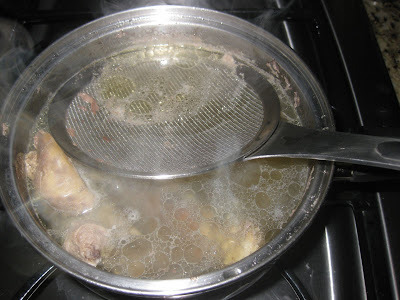 If you are bored to do this, just strain the broth to get a clean liquid. Add the broth, salt, black pepper, cumin, a little bit olive oil. 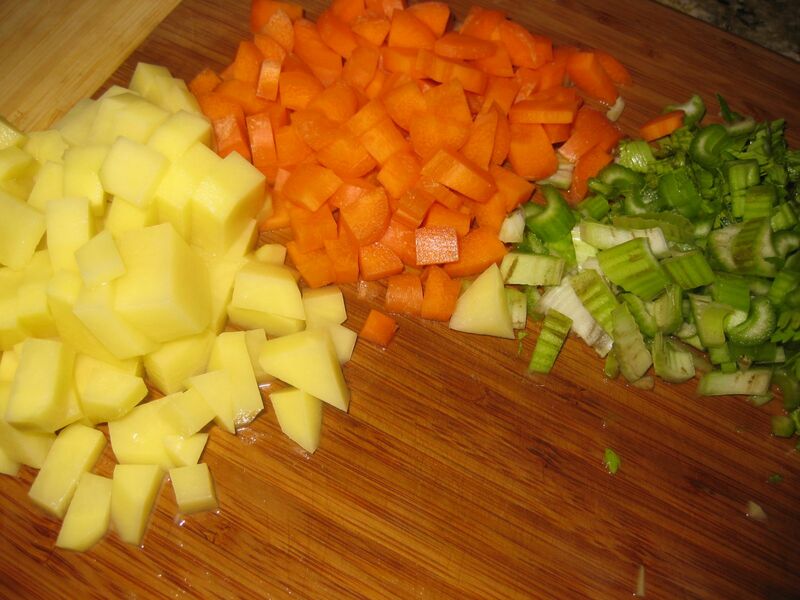 When it comes to boil add the celery and the carrots. You can change the quantity depending on your pot size and how thick you like the soup. After the carrots get softer, add the potatoes. Take out the meat and cut it into bites. Add the meat back to the soup, and add the rice. When the rice and the potatoes are done turn off the heat and wait for the soup to cool off a little bit, for max 1/2 hour. Meanwhile whisk the eggs with the vinegar. Slowly add soup liquid to the eggs mix and whisk. If you do this fast the soup will loose its smooth texture. At the and add the parsley. You can add some fresh black pepper before serving. I bought a pair of gucci bags for my boyfriend at this online store.replica gucci handbags The quality is very good, the style of sports shoes is very like,fake high quality gucci mens briefcases it is very worth buying, there are many famous designer brand replica gucci, we are sure that it has high quality and appearance.